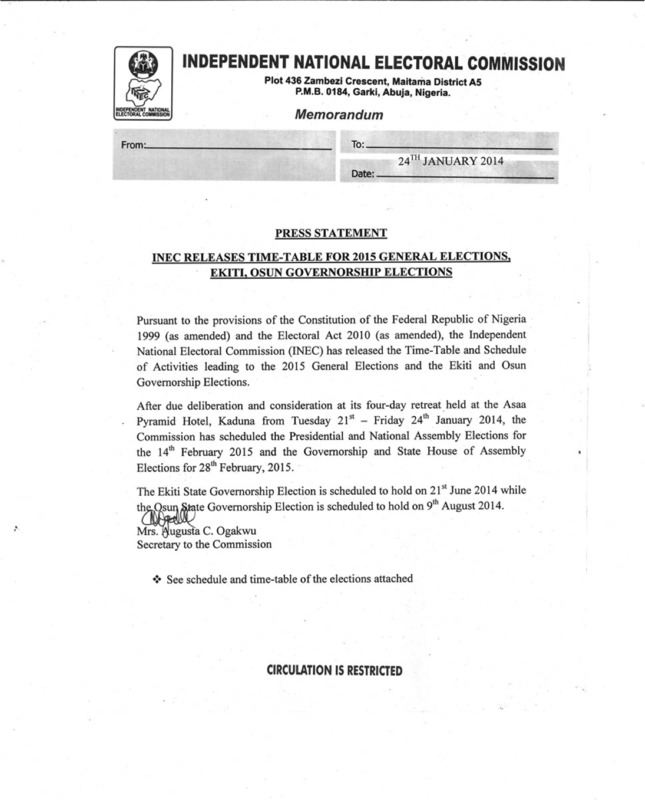 The tenure of office of the Governor of Ekiti State will expire on the 15th OCTOBER, 2014. 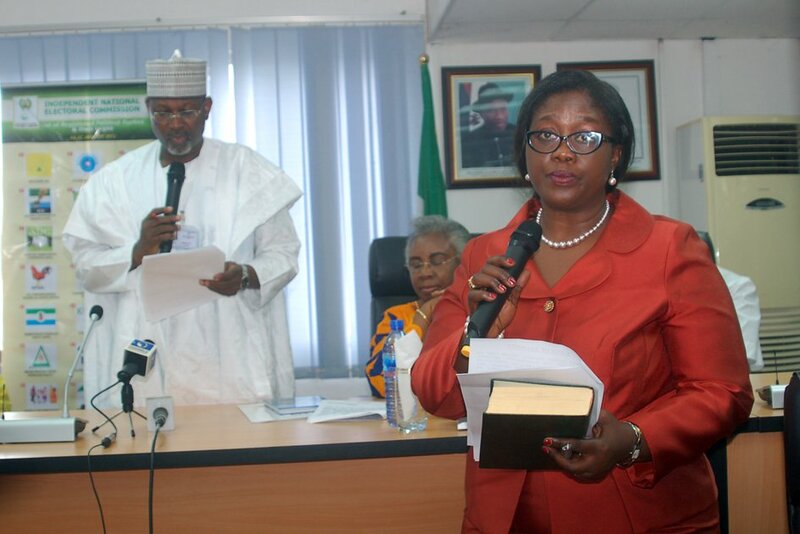 19th Feb. 2014 – The tenure of office of the President, Vice President, Governor and Deputy Governors of all the States of the Federation except Anambra, Bayelsa, Kogi, Edo, Ondo, Ekiti and Osun States and the membership of the National and State Assemblies will expire on the 28th May 2015. 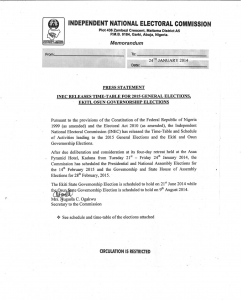 Consequently the earliest date for elections into the offices shall be 29th December 2014 and the latest date for the elections shall be 28th day of April, 2015.